Conference facility. Function Venue, Exhibitions, Indoor Sports. Game Venue, Corporate Events. For all your farm fresh Chicken Products. For Short Term Insurance Contact us. For petrol, servicing and repairs, operating hours: 7h 00 - 21h 00 7 days a week. 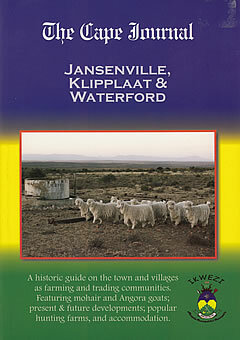 "Die Vleismark" butchery is situated in the Jansenville Mainstreet. The Vleismark is well known for its Karoo lamb, boerewors and tasty biltong. For all your electrical work. We do quality digital printing at very reasonable prices! We also do: Photocopies up to A3, Laminating up to A3, Plastic Ring Binding, Sending & Receiving of emails.